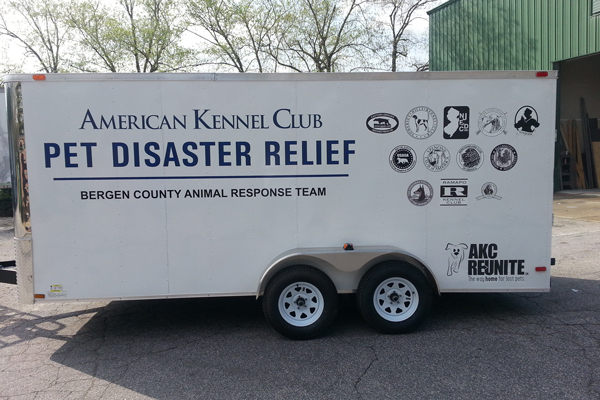 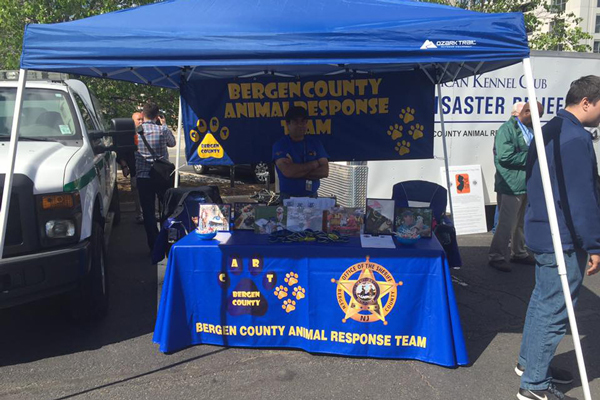 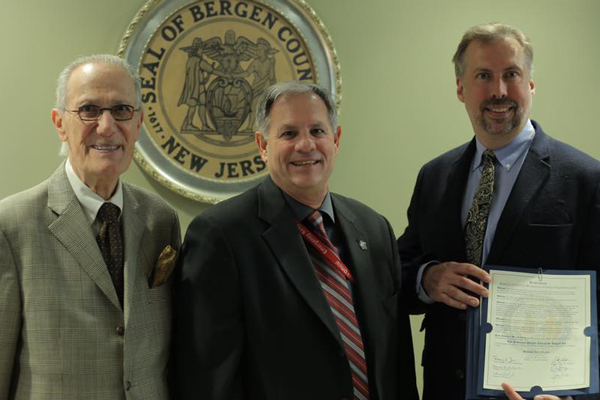 Bergen County is now equipped with a state-of-the-art AKC Pet Disaster Relief trailer that will be available to dispatch to any disaster scenes that need assistance sheltering pets. 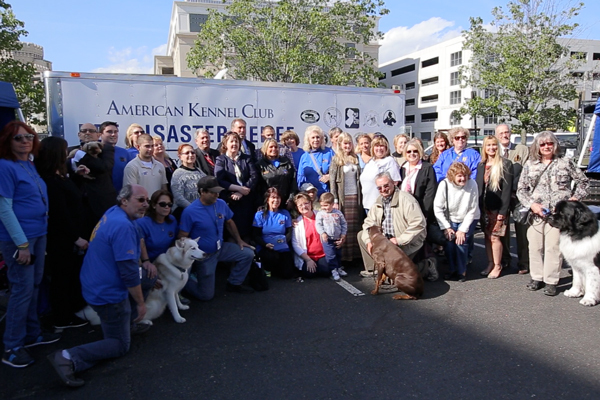 AKC Pet Disaster Relief, a national program that is dedicated to keeping pets and their owners safe in the aftermath of natural or civil disasters, joined forces with the New Jersey Federation of Dog Clubs and several national AKC breed clubs to present an emergency trailer to officials from the Bergen County Animal Response Team and the Bergen County Office of Emergency Management in a ceremony held today. 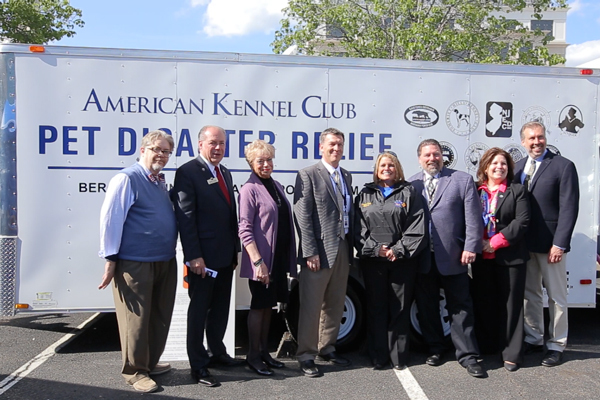 The purchase of the trailer was made possible by more than $22,000 in donations and grants from the New Jersey Federation of Dog Clubs, Ramapo Kennel Club, Taconic Hills Kennel Club, Somerset Hills Kennel Club, the Doberman Pinscher Club of the Tappan Zee, The Northern New Jersey Great Dane Club, the Eastern German Shorthaired Pointer Club, the United States Australian Shepherd Association, the Spinone Club of America, the Newfoundland Club of America, the English Setter Association of America, the American Bullmastiff Association, the Field Spaniel Society of America and AKC Reunite, the nation’s largest non-profit pet identification and recovery service.